Having lived in the DFW area for a little over 3 years now, I would always joke about how the Metroplex is so flat and that all I could see here is gigantic highways on top of another gigantic highways. I would also add, "we can't even find a body of water here!" Well, I was exaggerating and wrong of course! Because we DO have a few awesome lakes here in DFW with tons of activities to do and amenities to make the most of, and one of them is the Joe Pool Lake in Grand Prairie. Opened in 1989, the lake is a result of the collaboration of the U.S. Army Corps of Engineers, the Trinity River Authority, the Texas Parks and Wildlife Department, and the Joe Pool Lake Planning Council. Surrounding the lake are 4 lake parks including Loyd Park, Lynn Creek Park, Britton Park, and Cedar Hill State Park. 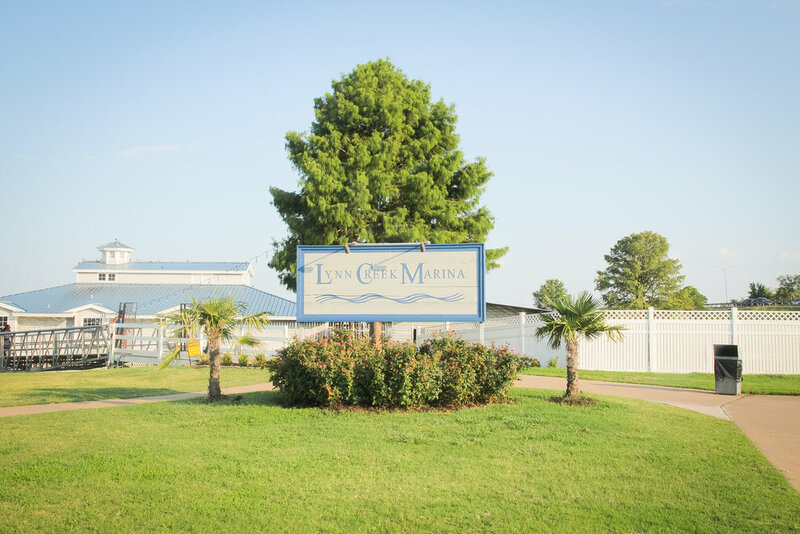 They also have 2 marinas that provide boat rentals, gas, boat ramp, etc., one of which is the Lynn Creek Marina! As you can see in the pic above, there are tons of boats that you can rent here, and oh they have a restaurant serving everything from gators and catfish, to steaks and po' boys, called The Oasis at Joe Pool Lake. As soon as we got there we were greeted by the view of ducks swimming, kids chillin by the bridge, and dads fishing! We made our way to the restaurant, and as we got closer, we heard live music playing. Oh yay! And they have a huge covered patio at the back with string lights overlooking the lake. But our little one gets hot very quickly, so we decided to dine indoors. They have good kids menu too by the way, with options like grilled fish (and all of my fellow gluten-free moms say "Yaasss!") with fries. Their house sangria is very affordable, but I would go with their margaritas. And oh, try their new Chocolate Rock Slide Brownies for dessert! Now, besides eating and cruising 'round the lake in your rented boat, there are plenty of other fun things to do here at Joe Pool Lake like camping and kayaking! In Texas, summer isn't going away basically until Halloween, so there is still plenty of time for you to come and have some waterfront fun here at Joe Pool Lake! For more info visit the lake's official website here. To make the most of your visit to Grand Prairie, follow @gptexas on instagram and visit their website here. I hope you are not too mellow that school is starting soon. I know for parents this might be a relieve, but that also means that we will soon be off the #VacayMode! But that's okay, vacation is a state of mind, right? !